Treat your skin with this deliciously refreshing foam that gently yet thoroughly cleanses and rebalances. 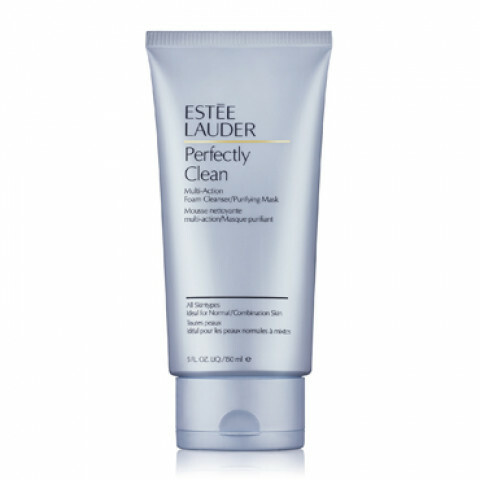 Powered by proprietary technology, this creamy formula rapidly lathers into a rich foaming cleanser that works for all skintypes and is ideal for normal/combination skin. Gently removes makeup and other impurities. Unclogs pores. Leaves skin healthy, fresh and luminous. Use it 2 ways: Morning and night as a daily cleanser to purify skin. Or twice a week as a 3-minute purifying mask. This one is not a foam cleanser, and my skin is oily. It leaves my face oily after using it. I'd prefer other foam cleansers. love using this to take off my make up, leaves my skin feeling super clean and fresh.